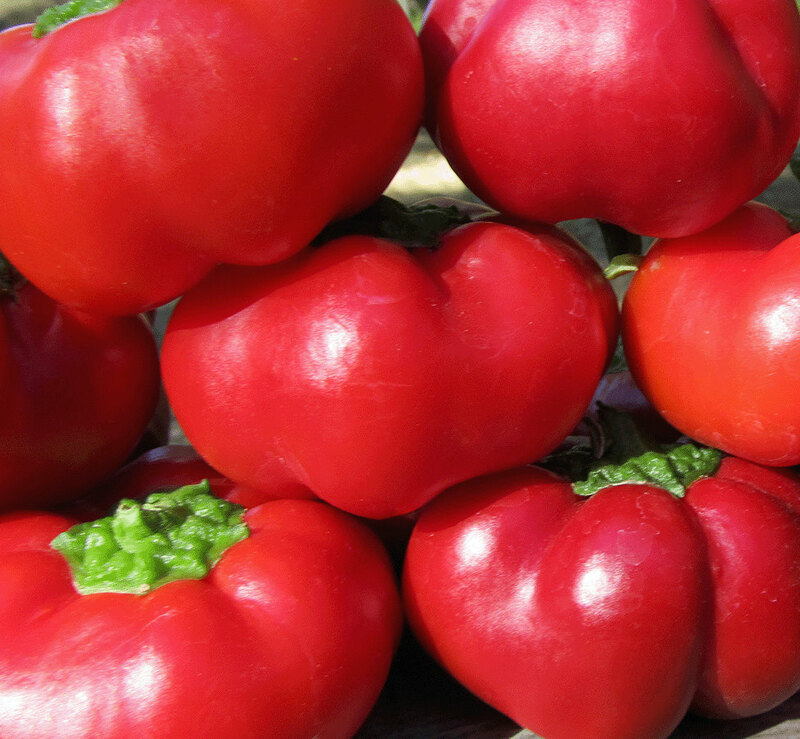 These squat bulby sweet peppers have thick flesh, sweet and juicy raw and the best roasted, like bright smoky candy. Two-foot-tall plants produce right up to hard frost. Refrigerated peppers will keep up to a month. My seeds are growing and I'm very happy with them!